Jean Baptiste Bernadotte. Painting by Joseph Nicolas Juoy, 1852, after an original by François Kinson from 1804. 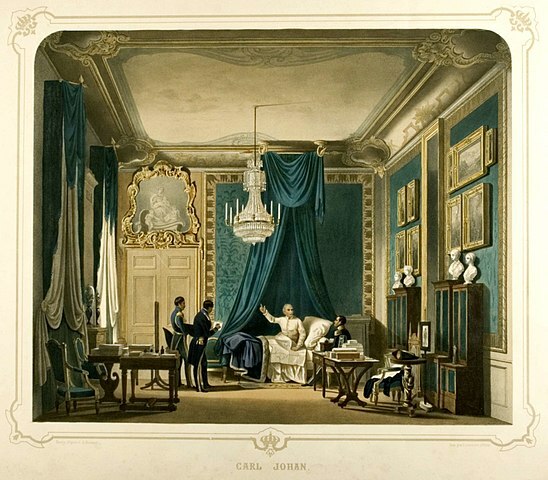 In early 1818, Sweden’s ailing King Karl XIII died and was succeeded by Crown Prince Karl Johan, who had for all intents and purposes already been acting as regent for seven years. The formal passage of power was a smooth transition that had long been anticipated, yet the path that brought the new king to the throne was anything but straightforward. The man who ascended the Swedish throne as Karl XIV Johan was actually a Frenchman named Jean Baptiste Bernadotte, a career soldier whose life took an unexpected turn due to a combination of the Napoleonic Wars, the decline of Swedish power in the Baltic region, and the premature death of a Danish prince. This unlikely royal founded a dynasty that still reigns in Sweden today, two centuries after his coronation. For the better part of a century, the Bernadottes were also kings of Norway, whose union with Sweden lasted from 1814 until 1905. So how did a Catholic Frenchman without noble blood end up becoming the king of not just one but two Protestant Scandinavian countries? Once one of Europe’s mightiest powers, Sweden by the early 19th century had suffered a century of military defeats that culminated in the devastating loss of Finland to Russia in 1809. For more than 600 years, Finland had formed the eastern half of the Swedish kingdom. Without it, Sweden was reduced to a much less important nation in terms of both land area and international standing. Gustav IV Adolf. Portrait by Per Krafft the Younger. The blame for the Russian occupation of Finland, which began in February 1808, fell on King Gustav IV Adolf, who had ascended the Swedish throne at the age of 13 following the assassination of his father, Gustav III, in 1792. Gustav Adolf’s extreme antipathy toward France led him to involve Sweden in the Napoleonic Wars. When France and Russia became allies, Gustav Adolf’s refusal to join them in blocking British trade in the Baltic led to war on multiple fronts. By late 1808, rumors were swirling that Russia and Denmark were planning to carve up Sweden between them, and military losses in Finland were mounting. In March of 1809, a group of army officers mounted a coup against Gustav Adolf, imprisoning the king and his family in Gripsholm Castle. A provisional government was established under the leadership of Gustaf Adolf’s uncle, Karl. 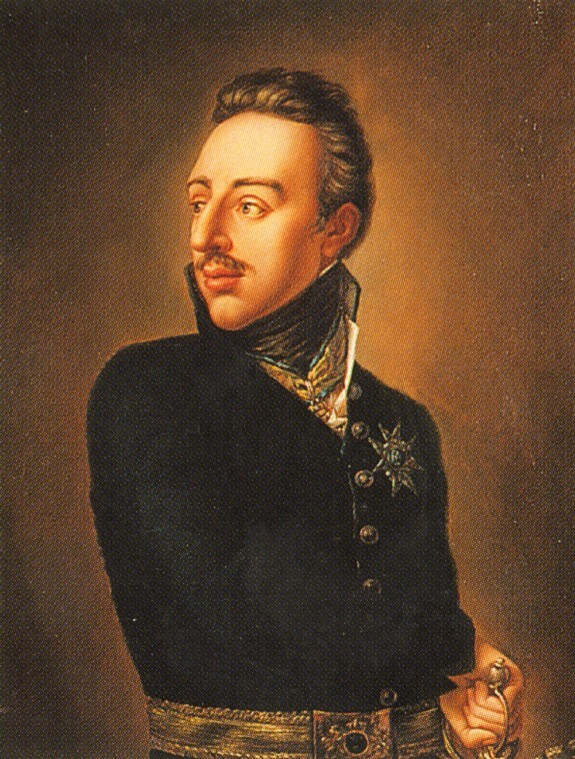 Gustav Adolf was forced to abdicate and go into exile, and on 6 June 1809, after the adoption of a new constitution, his uncle was crowned as Karl XIII. The new king, Karl XIII, was a prematurely old man, suffering from chronic ill health and debilitated by a stroke soon after his coronation. He was also childless. Since all of Gustav IV Adolf’s descendants had been proclaimed ineligible to inherit the throne, Karl XIII was persuaded to adopt Christian August of Augustenborg, a Danish prince and career soldier, as his heir. At the king’s request, the new crown prince changed his name to Karl August, since Christian was not a popular name in Sweden due to its association with earlier Danish conquerors. Crown Prince Karl August. Portrait by Per Krafft the Younger. Karl XIII. Portrait by Carl Fredric von Breda. 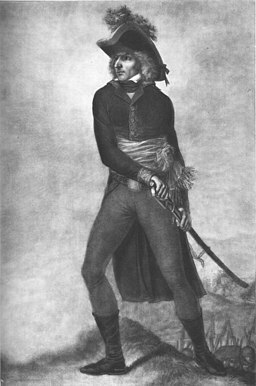 Karl August arrived in Sweden in January 1810. In late May, while inspecting troops in southern Sweden, the 41-year-old crown prince suffered a stroke and died, less than six months after his adoption as heir to the throne. Although there was no evidence of poison, many people were convinced that the crown prince’s death was the work of partisans of the deposed Gustav IV Adolf. The unfounded rumors grew so out of control that Count Axel von Fersen, one of Sweden’s most prominent noblemen and a leader of the Gustavians, was lynched by an unruly mob as he escorted Karl August’s funeral procession through the streets of Stockholm. With Karl August’s death, Sweden was once more in need of a royal heir. This time, the choice eventually fell on a surprising candidate, Jean Baptiste Bernadotte. Jean Baptiste Bernadotte was born in 1763 in the southwestern French city of Pau to a local prosecutor, Henri Bernadotte, and his wife, Jeanne St. Jean. Henri Bernadotte intended his son to follow in his footsteps as an attorney, but Jean Baptiste had other ideas. After his father’s death, 17-year-old Jean enlisted as a soldier, rising through the ranks as the French Revolution opened up new opportunities for capable men without noble blood. By 1794 he had become a general, and soon afterward he gained the notice of Napoleon Bonaparte when they served together in Italy. This portrait of Jean Baptiste Bernadotte as a French field marshal impressed the delegates at the Örebro parliament of 1810, when Bernadotte was elected heir to the Swedish throne. Engraving by Pierre Michel Alix after a drawing by Hilaire le Dru. In 1804, after taking power, Napoleon named Bernadotte as one of his 18 marshals, the highest military rank in France. He later also awarded Bernadotte the title of Prince of Pontecorvo. The two men also had a close personal connection, since five years earlier, Bernadotte had married Napoleon’s former fiancée Désirée Clary, whose sister was married to Napoleon’s older brother Joseph. Nevertheless, the relationship between Bernadotte and Napoleon was often fraught with tension and conflict. In 1809, as a result of the bad blood between the two men, Bernadotte found himself without a posting. Meanwhile, the Swedish governing council had decided to offer the succession to the deceased Crown Prince Karl August’s elder brother, Duke Frederik Christian of Augustenberg. A Swedish baron named Carl Otto Mörner was sent to Paris to obtain Napoleon’s approval for the adoption of Frederik Christian. However, Mörner had his own ideas. He had long been convinced that crowning a French marshal with ties to Napoleon represented Sweden’s best hope for restoring the country’s greatness and recovering its lost territories to the east. 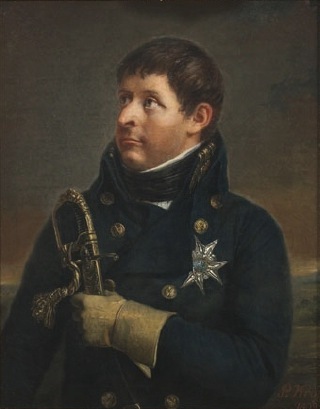 Mörner delivered his dispatches about Prince Frederik Christian as promised, but then turned his efforts toward his own goal, identifying Bernadotte as the best French candidate for the Swedish throne. Unaware of Bernadotte’s troubled relationship with Napoleon, Mörner asked him whether he would be interested in ascending the throne of Sweden. After some consideration, Bernadotte told Mörner he was interested in the offer. With this, Mörner felt sufficiently emboldened to take the next step. He returned to Sweden and presented his suggestion to the royal chancellor and the foreign minister, who banned Mörner from participating in the upcoming parliament in Örebro, where the next crown prince would be officially selected. 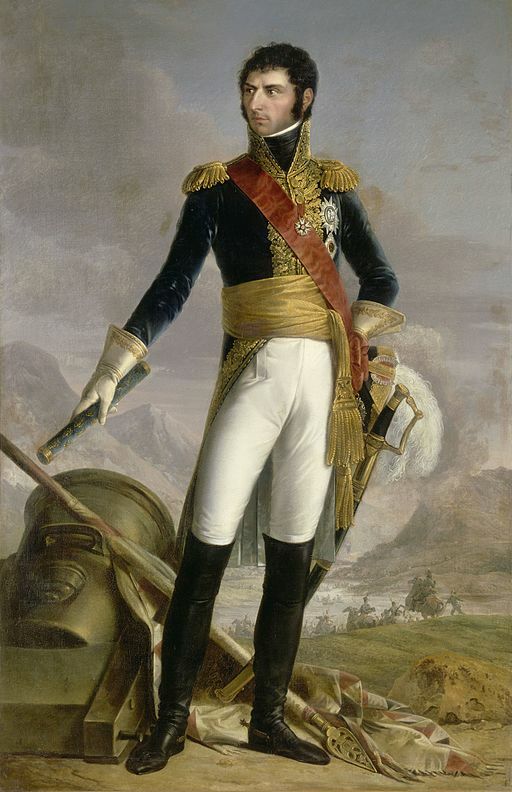 Despite this, support for Bernadotte’s candidacy grew steadily, especially as it became clear that Napoleon was not opposed to seeing his marshal on the throne. Many Swedish leaders hoped that drawing closer to Napoleon would enable Sweden to recover Finland. After some dithering, the Örebro parliament voted to make Jean Baptiste Bernadotte the crown prince of Sweden. Karl Johan as Crown Prince of Sweden, 1811. Portrait by François Gérard. In October 1810, after converting to Lutheranism, the 47-year-old Bernadotte arrived in his new country, where he changed his name to Karl Johan and was formally adopted by Karl XIII and his wife, Queen Hedvig Elisabet Charlotta. Soon afterward the new crown prince was joined in Sweden by his wife, Désirée (known in Sweden as Desideria), and their 11-year-old son, Oscar. Désirée was not enamored of her husband’s new kingdom and soon returned to France, where she remained until 1823, when she belatedly joined her husband in Stockholm on a permanent basis. 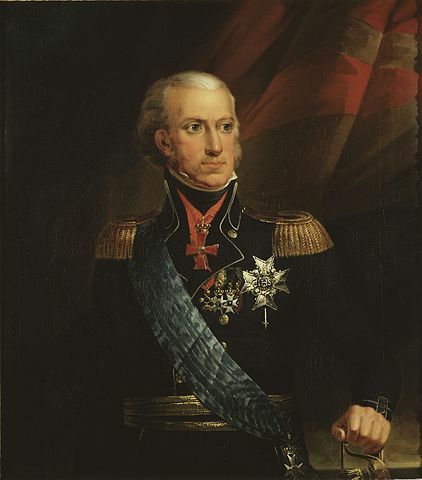 Because of Karl XIII’s ill health, Crown Prince Karl Johan soon took over the practical work of governing Sweden. 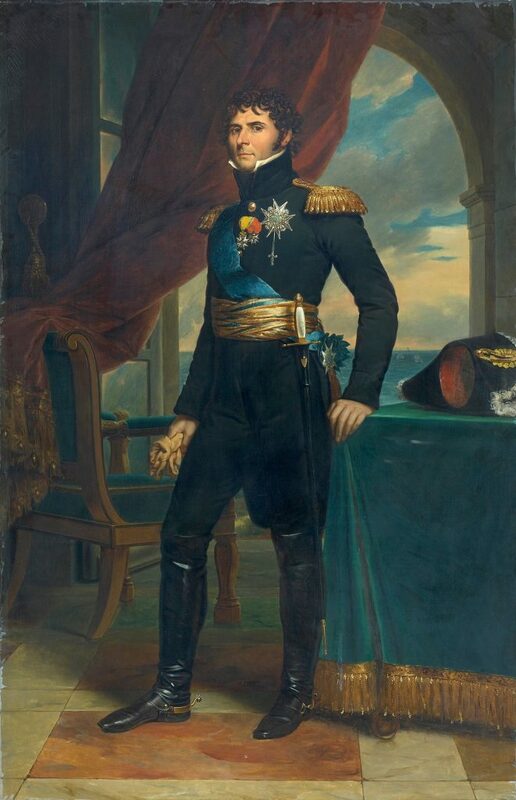 To the disappointment of those who had hoped he would bring about a strong relationship with France, Karl Johan instead viewed Napoleon’s days as numbered and opted to draw Sweden closer to Russia and Great Britain. Napoleon responded by occupying Swedish Pomerania, a territory in what is now northern Germany and Poland, in 1812. 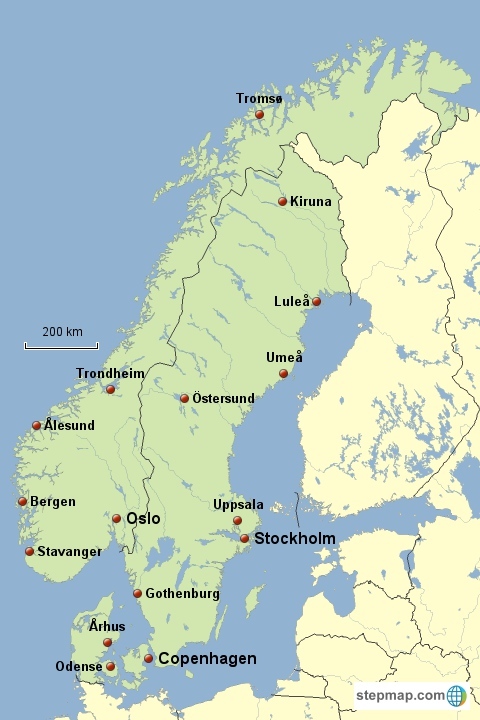 It had been part of Sweden’s empire since the Peace of Westphalia, which marked the end of the Thirty Years’ War in 1648, but had been previously occupied by French troops during Gustav IV Adolf’s war with Napoleon. Karl Johan responded to this new Napoleonic occupation by strengthening his alliance with Russia and leading Swedish troops in the field against the French army. A series of Swedish victories culminated in a bloody triumph at the Battle of Leipzig in October 1813. Karl Johan deemed recovering Finland to be a lost cause and instead turned his eye to the west, toward Norway, which had been in a union with Denmark for hundreds of years, with Denmark the dominant partner. In early 1814, Denmark was forced to cede possession of Norway to Sweden as part of the Treaty of Kiel, which marked the end of Scandinavia’s participation in the Napoleonic Wars. The Norwegians had other ideas, declaring themselves independent and drafting a constitution on 17 May 1814 (the reason Norway celebrates its national day on 17 May). Karl Johan refused to give in, however, launching a brief military campaign that forced Norway to enter into a loose union with Sweden that lasted until 1905. The elderly, ailing Swedish king, Karl XIII, died in February 1818, and on 11 May of that year, the former Jean Baptiste Bernadotte was crowned King of Sweden as Karl XIV Johan, in a ceremony held in Storkyrkan (Stockholm Cathedral). On 7 September, a second ceremony was held in Trondheim to crown Bernadotte King of Norway, where he was known as Karl III Johan. Karl Johan laid the groundwork for Sweden’s policy of neutrality, which has kept the country out of war for over 200 years (though it has been sorely tested on occasion, including during World War II). Fearful of being deposed like his predecessor Gustav IV Adolf, he became increasingly conservative and kept a strong hand on the reins of government. Despite 34 years in Sweden, Karl Johan never learned to speak the language of his adopted kingdom. Karl Johan was a night owl, famous for holding meetings in his bedroom. Painting by Carl Stefan Bennet. Karl Johan died on 8 March 1844, leaving the throne to his son, Oscar. On his deathbed he is reputed to have said, “No one has had a career like mine.” Truer words were never spoken. The present King of Sweden, Carl XVI Gustaf (born 1946), is the seventh king of the Bernadotte line, and will be succeeded by his eldest child, Crown Princess Victoria (born 1977), who will become the dynasty’s first queen regnant. All images in public domain, via Wikimedia Commons. Thanks, Ola. Those were both simple typos, which I’ve now fixed.